PTG Enterprises knows how to handle it. 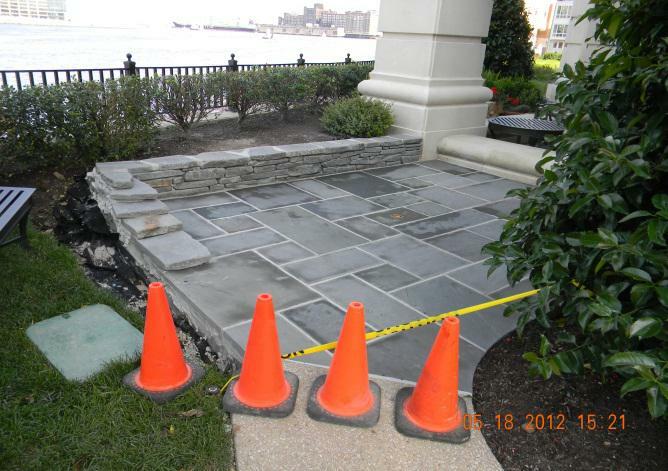 We're experts at masonry jobs, whether it's repairing retaining walls, architectural elements, dumpster corrals or storm drains, PTG Enterprises knows how to handle it. Our professional crews rebuild retaining walls that are broken or weakened by hydrostatic pressure, normal wear, and erosion. When we arrive onsite, we'll prepare the work site and complete the project, making sure to clean up after it's complete. 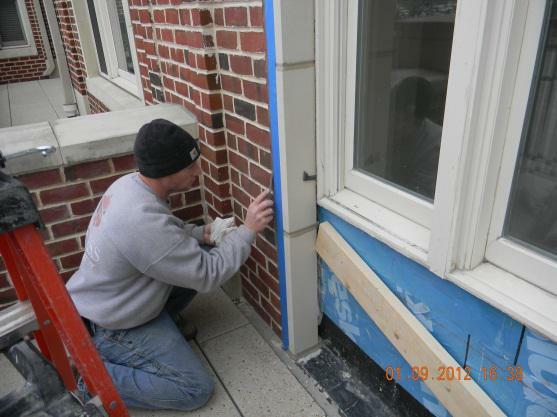 Don't let deteriorating or damaged masonry impact the look and function of your property, contact PTG Enterprises. We're a paving company that knows how to hit the bricks! Brick, block & stone are the true building blocks of any major construction project. Whether your property needs a single course wall installed to hold back landscaping or a multi-story retention wall to hold back a mountain of earth, PTG has the experience to get the job done. 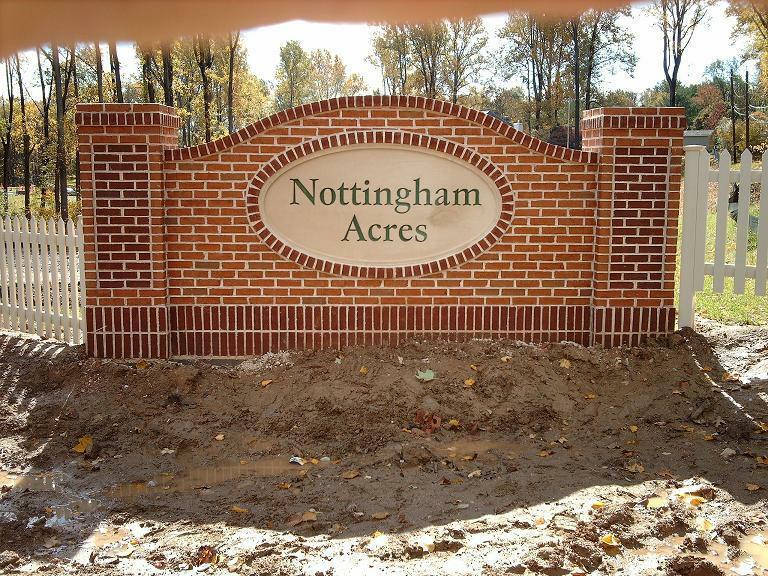 can be almost anything such as, a stone or brick archway statically placed throughout the community for ambiance. However, most architectural elements/monuments are masonry structures that are placed at the entry to properties with the "name" of the property. 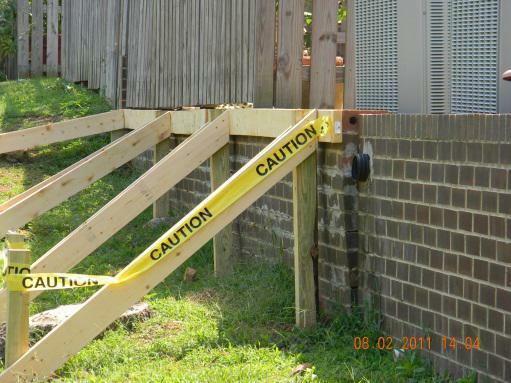 If your property has one of these that needs maintenance and/or repair, PTG can help. We can also construct a new element for your property. PTG has constructed many dumpster corrals and can construct per your design or work with you to design one. The important thing to factor in is the size of the dumpster itself and the clearance you need. Often, steel bollards are installed at the rear of the corral to prevent damage to the rear wall. Another choice that must be made is to determine the side walls. 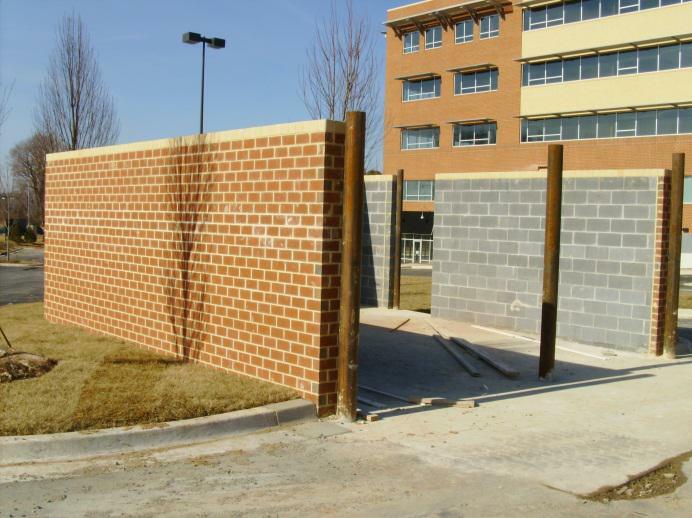 PTG can construct block wall with or without brick facing or fencing. Often the sidewalk entre to a structure or buildings are designed with stones, pavers or brick in decorative patterns to give the building a little flair. Over time like all pavements, these decorative pieces need maintenance and repairs. PTG has crews that can provide these services. Or, if you would like to replace a current concrete patio or landing with brick, block or stone, our estimating team will work closely with you to create a look that fits the building. Brick paver drive lanes add a level of beauty and sophistication to any property. 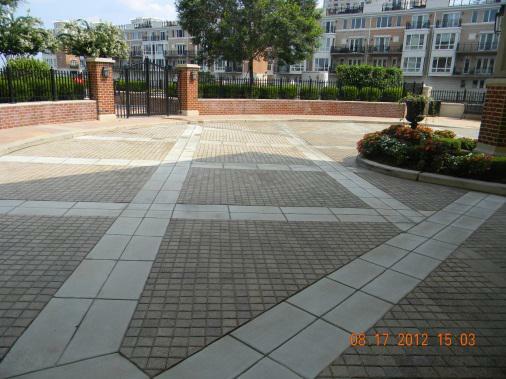 You can be assured that your "paver" project will be completed professionally and with an exacting attention to detail. 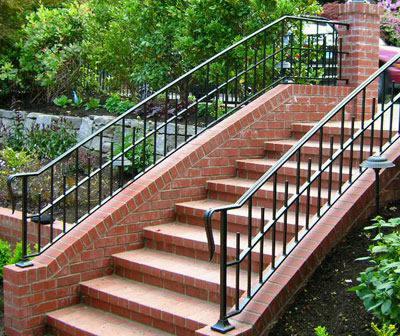 Staircase maintenance should be on the top of every property manager's to-do list. Unstable staircases or even a single brick can cause an injury. The condition of the staircase will determine the repair. In some cases, removing the brick face is enough and in other cases the entire staircase needs to be removed down to its footer and re-built. 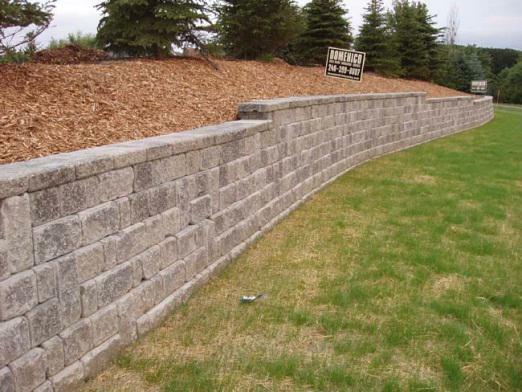 The entire purpose of a retaining wall is to hold back earth. Moisture in that earth, along with constant pressure, will take its toll on most retaining walls over time. The condition of the wall will determine the repair. In some cases, removing the brick face is enough, and in other cases, the entire wall needs to be removed down to its footer and re-built. The mortar joints surrounding brick on buildings will eventually dry, crack, deteriorate and crumble. When that happens, the malfunctioning mortar must be cleaned out and new mortar installed. PTG has crews to tuck point a couple of brick or an entire city block. Certain locations within masonry structures have joints that are caulked rather than mortared. These caulk joint usually become dry rotted over time and need to be re-caulked. 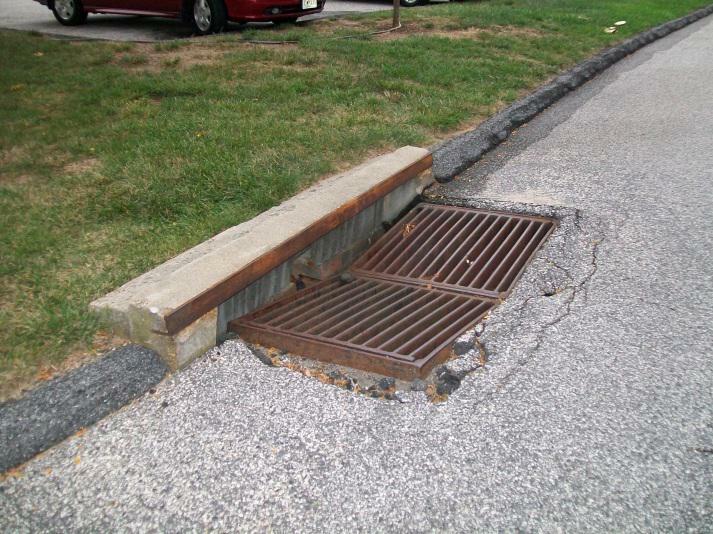 Damaged sinking storm drains create multiple problems for property managers. They became liability issues as they sink, or sink holes start to pop up around them. As they weaken, the possibility of a greater and catastrophic collapse is possible. Repairing these should be a priority for all property managers.